Add to our 2019 Fall/Winter Collection! Share your new or gently used apparel, accessories, coats, or shoes; for men, women, or children. Thank you for adding to our ONE closet collection! Check your email for shipping information . If you requested a free shipping label, be sure to reply to the email with your preferred mailing address. “Marketing & Sharing” Donations. All administrative and marketing costs are donated by the NAMPC. If you would like to help us reach more people, consider making a “Marketing & Sharing” donation of any amount! 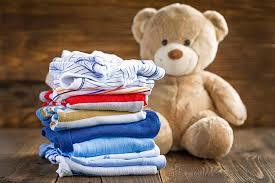 For gently-used clothing, all items must be washed/clean. For new/unused items, please keep in original packaging or with tags attached, whenever possible. Do not share items that are damaged, dirty, torn, stained, or worn-out. Do not share items that include offensive or derogatory text or images. 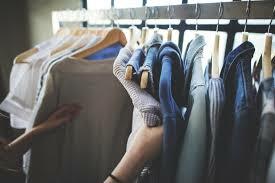 Share ONE item from your personal closet. Share items from any season. Share items that are on sale where you shop. Share any item you think a neighbor or friend would like to wear, use, or have. Share a full outfit – from head-to-toe! Share items you did not wear or use since this time last year. Share a designer item as an excuse to buy a new piece! Share something that will make someone smile or feel confident.